In my humble opinion, the high street homeware shops have completely ‘upped their game’ for autumn/winter 2017, with Monsoon Home leading the fray. We no longer want our dwellings to look the same as our neighbours. We dont want to ‘buy a look’ we want to find our own unique style, to let our personality and our one off treasures shine a light on the houses that we call our homes. There was a time when only Next on the high street was selling homewares and accessories. Back in the 90’s people aspired to own a room full of Next accessories. Personally I found that their furniture was bland as in ‘blah, blah’ and lacked spirit. I found ‘Next Home’ to always be a little behind with the trends, they were followers not leaders. I worked for Next for 11 years, therefore feel more than qualified to express this opinion. As a family we have owned 3 Next sofas good quality yes, but stylish? Not really. 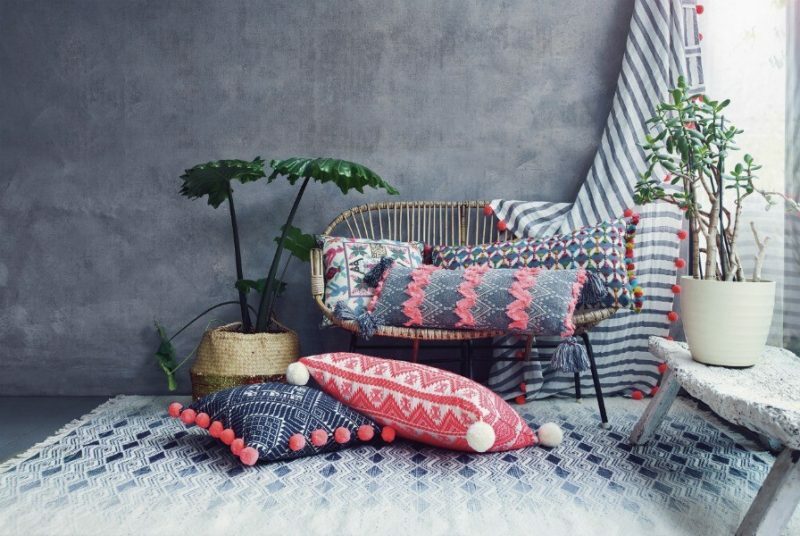 Now however, the high street has finally come of age, as many brands have developed their own homewares and furniture. 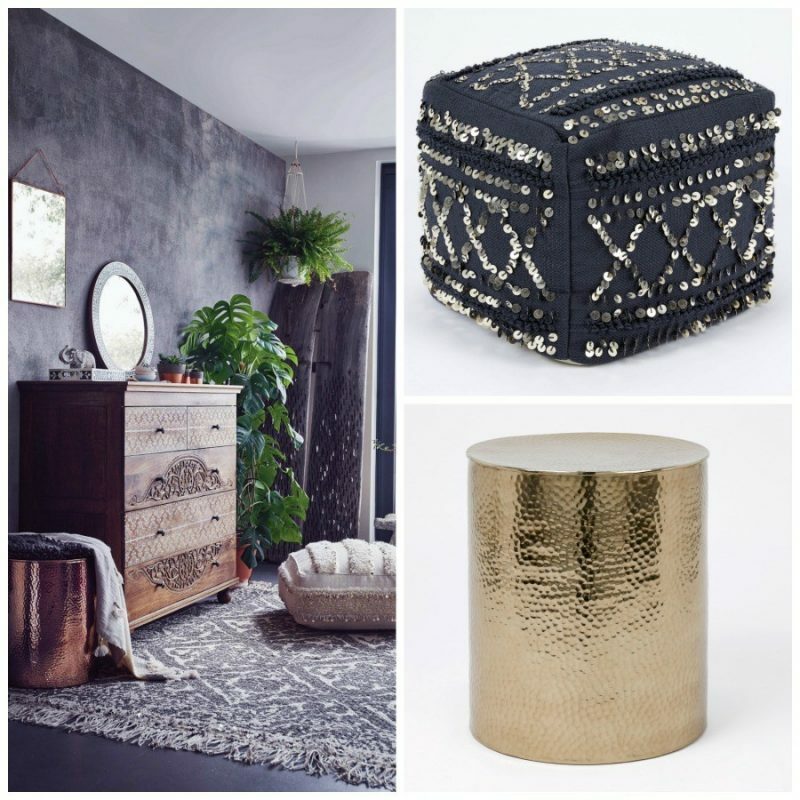 Today we have Zara home, H&M home a brand I love for its price and trend choices. Even New Look is getting in on the act and attempting to sell home accessories! 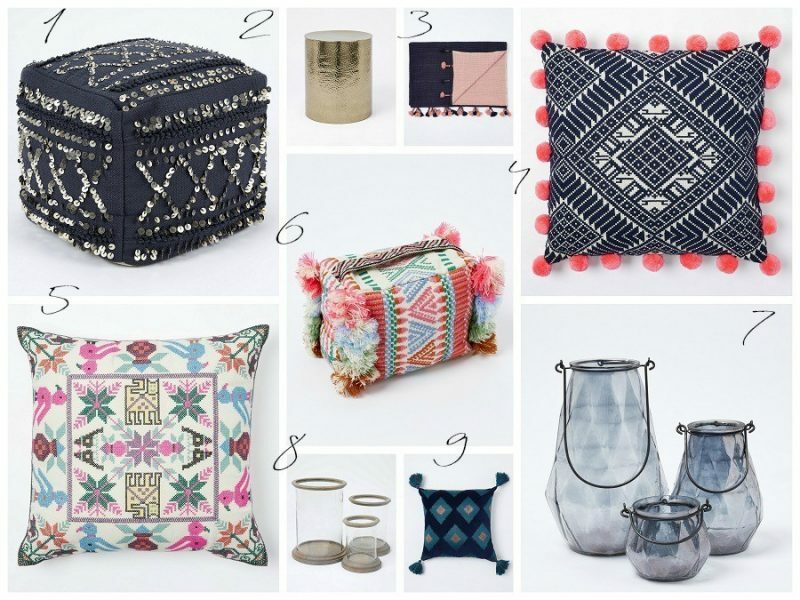 Strangely enough I rarely shop at Monsoon for clothes, but I could bankrupt myself with their latest Home Soft Furnishings and Accessories ranges. Monsoon Home is not new it was launched in 1999. the brand itself was launched in 1973, almost as old as me then? Do you like them? 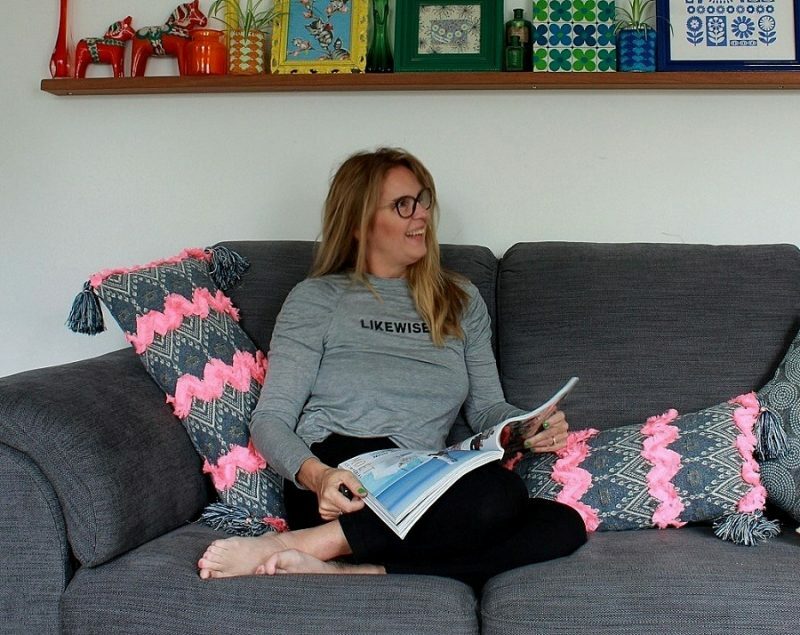 I wonder why it is that women always buy the cushions and men get annoyed with them? The cushions not the women. Any ideas…? 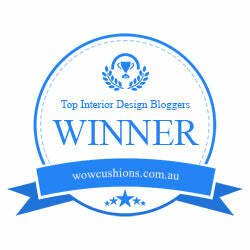 Want to read more of my interior posts? 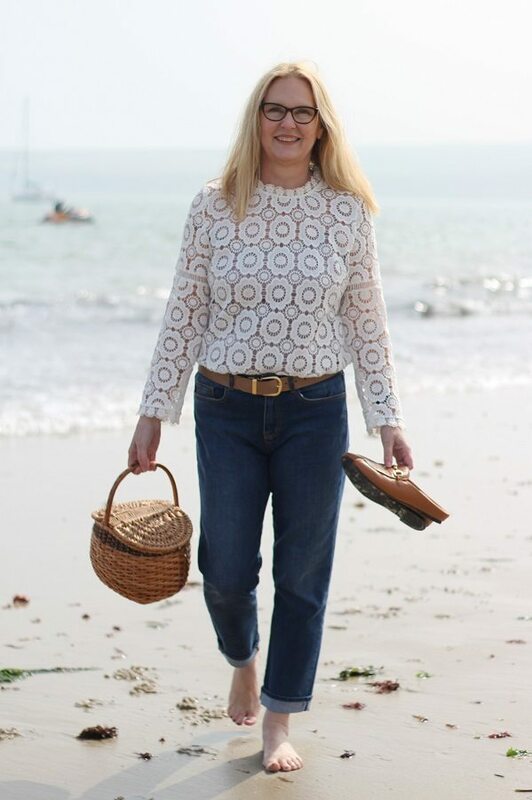 I’m really loving Monsoon this season, everything from the clothes to their home range. 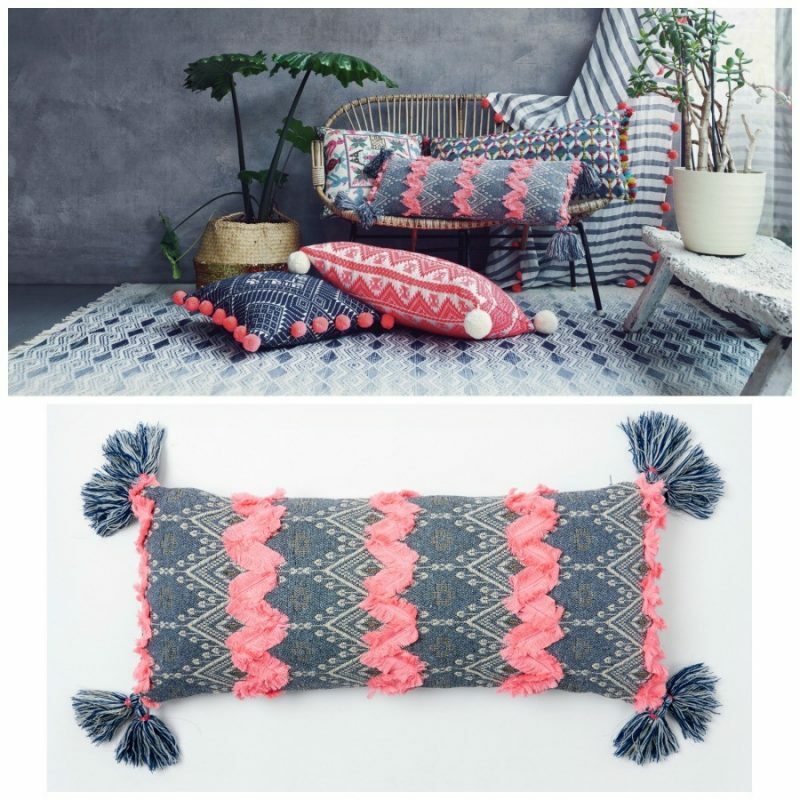 I love all those cushions but my favourites are the Aztec pom pom ones.. anything with a pom pom and I’m sold! Hi Elena I agree Monsoon is showing some magical things this year! Me too im a huge Pom Pom fan! Im loving the pink tassels on them, I want more now!